The Fort William council received a letter from the Great War Veterans Association of Canada asking that a portion of Mountain View Cemetery be set aside for use by the Great War Veterans Association. This was referred to the Property Committee. The Great War Veterans Association was formed in 1917 and later amalgamated with other veterans’ groups in 1926 to form the Canadian Legion which in 1960 would become the Royal Canadian Legion. As members of the military return from overseas, the need for a support system for veterans became evident. The Royal Canadian Legion continues to assist military personnel and their families today. We saw in July that arrangements were being made for ammunitions to be brought from France to outfit the minesweepers being built by Can Car. In September, the members of the French Navy who arrived were celebrated by the Lakehead. It appears that perhaps one of these French Naval Officers was ill or injured and passed away at St. Joseph’s Hospital. The Port Arthur City Council decided to honour French Naval Officer, Edmond Jean Marie Rault, by ordering a wreath for his funeral and ensureing that Council was represented at his funeral. Coal dealers in the Lakehead had usually purchased their supply through direct importation. The dealers were informed by the Fuel Controller for the Dominion that they would have to start buying from a middleman. This would result in an increase of price. The Council decided to “urgently represent” to the Fuel Controller that the dealers should be able to continue importing coal directly to keep costs low for citizens. As we saw in Fort William, there was a problem for both cities of soldiers who were fighting overseas ending up in arrears on their property taxes. 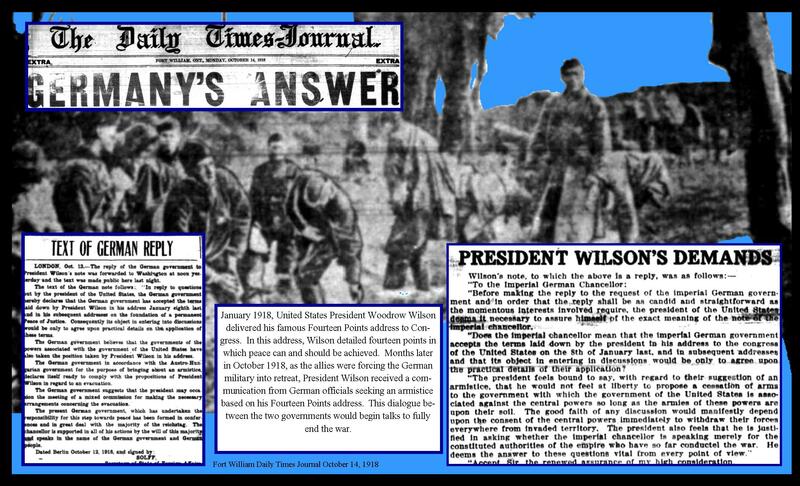 Fort William had agreed to protect soldiers’ property from tax sale and it seems that Port Arthur did as well. Here Port Arthur’s Finance Committee had identified the properties owned by soldiers who were so far arrears that their properties could have been sold by the City to make sure that they were eliminated from the Tax Sale list and protected from sale. 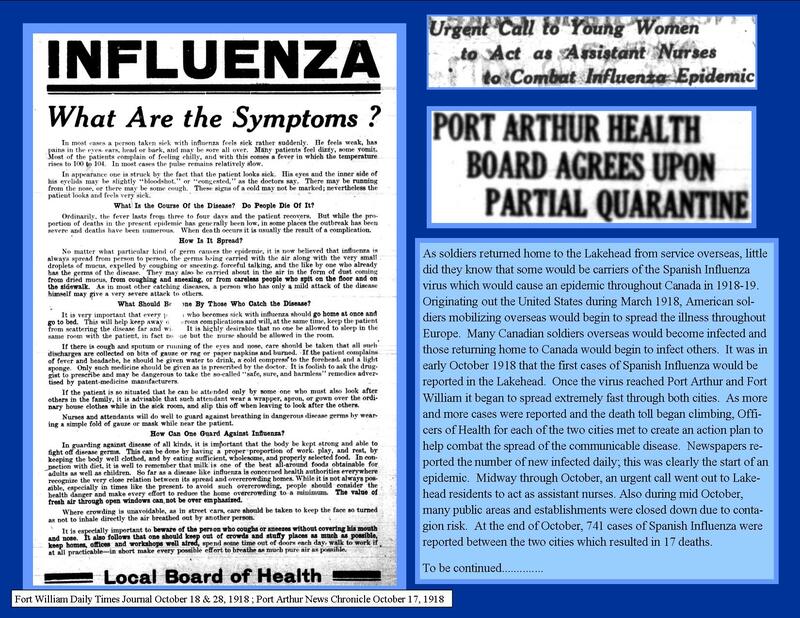 1918 to 1920, the Spanish Influenza killed between 20,000 – 50,000 Canadians and between 20 to 100 million people globally. In 1919, the Dominion Government established a Department of Health as a response to the crisis. The demands from the citizens on the Cities continued. Here the Port Arthur City Council refers requests to their Finance Committee: Requests for a grant to the Serbian Relief Committee; the Soldiers Aid Committee looking for the balance of funds on their grant; a Mr. W.P. Charles looking for a designated area for the burial of deceased soldiers; and a suggestion from a Mr. Matthews that they use the sinking fund in order to buy Victory Bonds. Port Arthur Council expressed condolences to Mr. J. R. Lumby, President of the Fort William Board of Health, on the loss he and his family have sustained in the death of his youngest son, Private Rex Lumby of the 8th Battalion, who was killed in action. 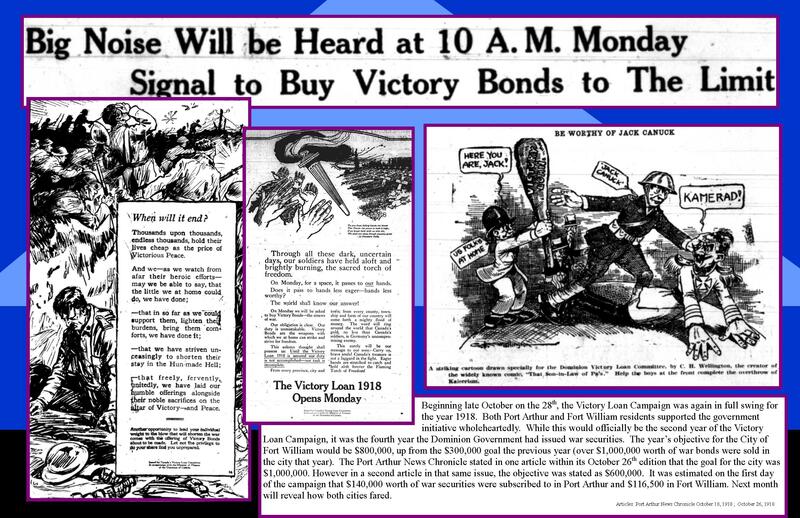 Due to the influenza outbreak, the Provincial Secretary of Ontario discouraged public meetings during the epidemic, but allowed that committee meetings and small meetings in connection with the victory loan should be permitted. On October 8, Fort William City Council discussed orders sent by “Dr. R. J. McFall, Chief of the Cost of Living Branch, Dept. of Labour, Ottawa,” which resulted in the special committee to be known as the “Fair Price Committee” to investigate the price of bread, milk, etc. In this same connection a letter was received from C. Birbett, Secretary of the Thunder Bay Productions Association. The Fort William council received a letter from the Fort William branch of the Catholic Army Hut Association asking for a donation to provide funds for soldiers in France. 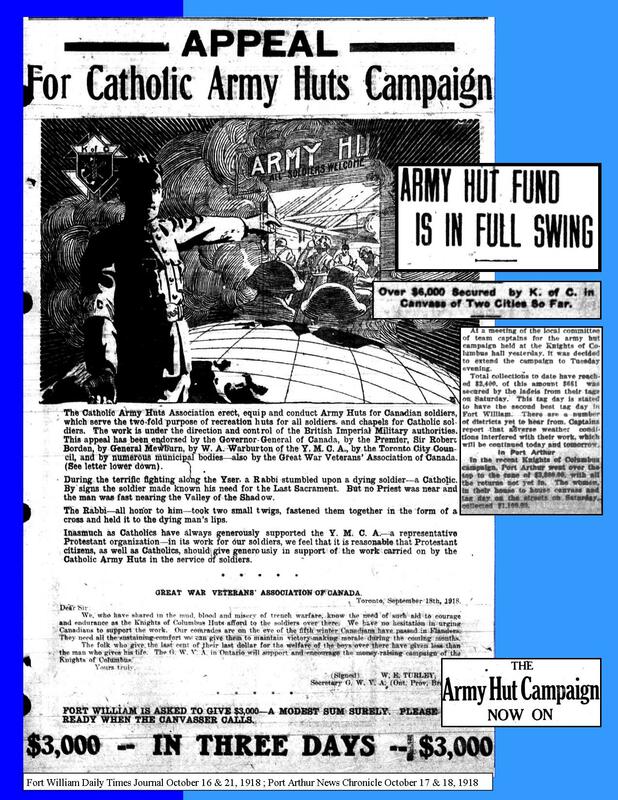 The Catholic Army Hut Association is perhaps referring to the Knight of Columbus Catholic Army Huts. The Army Huts were a place for military personnel who have completed active duty and are returning home to have access to services and recreation during the First World War. The Knights of Columbus is still an active organization in multiple countries. The Council also received a letter from the Canadian Serbian Relief Committee asking for a donation for the Serbian Relief Fund. The Serbian Relief Fund was formed in 1914 and was a humanitarian aid operation. Port Arthur issued the remainder of the 1918 grant that was issued to the Soldiers Aid Commission in response to the letter of request that was received from the Commission on October 12. The Soldiers Aid Commission was formed in 1915 and 2015 was the commission’s 100th year of assistance. On October 8, the Fort William City Council discussed giving a portion of Mountainview Cemetery to the Great War Veterans Association. It seems similar letters were sent to Port Arthur City Council who received letters from both a W. P Charles from Major Ruttan in respects for a burying place for returned soldiers. The matter was then “referred to St. Andrew’s Cemetery Co. and the Riverside Cemetery Co. with the request that they deal with the subject at once.” Port Arthur Finance Committee also expressed their willingness to meet both Major Ruttan and Capt. Blanchard for further discussion of the matter.